Maybe I just never paid attention to eyelash thickener products when I was in America, but is there really an American eyelash limit? If so, it seems the government should have better things to do than set limits on the freedom of our eyelashes. Congratulations to caption contest winner, pegoleg! Check out her illustrious prizes and submit a caption in the new contest. Maybe it’s because I hate makeup, but I completely understood the description. Especially, “also may indifferent, the cruel feeling” and “the flesh receives the injury”. That is usually what happens when I try to apply eyeliner, I end up stabbing myself in the eye. It’s hard to have confidence in makeup if you’re not sure whether the advertisement is promising ‘cruel feeling’ or making guarantees against it. I believe I am well within the American eye lash limit, and I am giving up makeup forever. Giving up on makeup forever is probably the safest way to guarantee never approaching the eyelash limit. Hope you’ll do a post on whitening lotions. 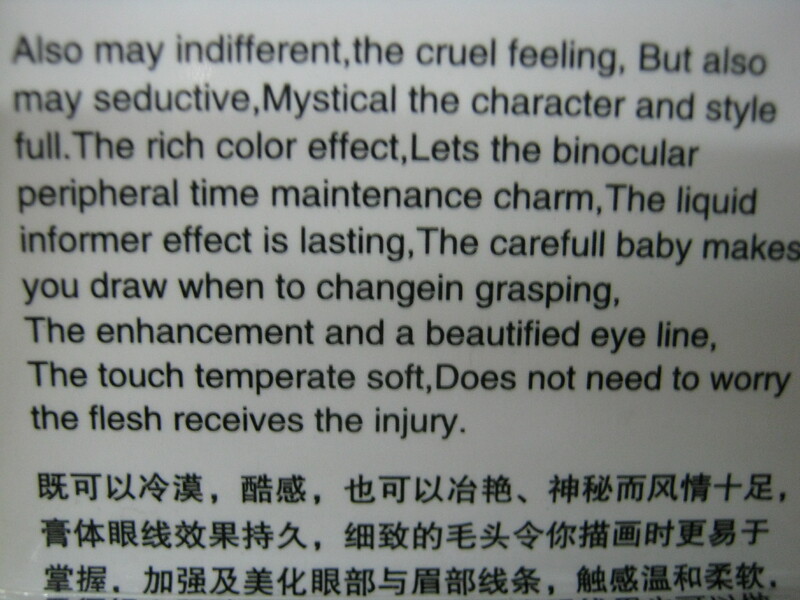 Wonder what the warnings are on those products–how they white-wash the Chinglish. The skin whitening products definitely deserve their own post. I’ve heard they don’t work and have potentially damaging side effects regardless of whether you can understand the correct usage on the box. Much like the sport of Korfball, you’ve got to be completely enamored of the stuff to understand the brilliant, esoteric words that describe so well the temperateness and mysticality of the eyelash thickener. Though we are just describing common cornstarch and grade school paste, it is a miracle grasping the binocular essence of time. 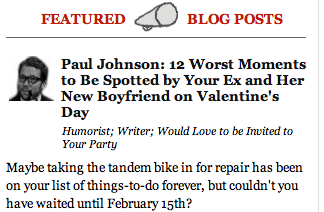 Yeah, what that writer said. The carefull baby makes you draw. Bow Howdy, does it ever. 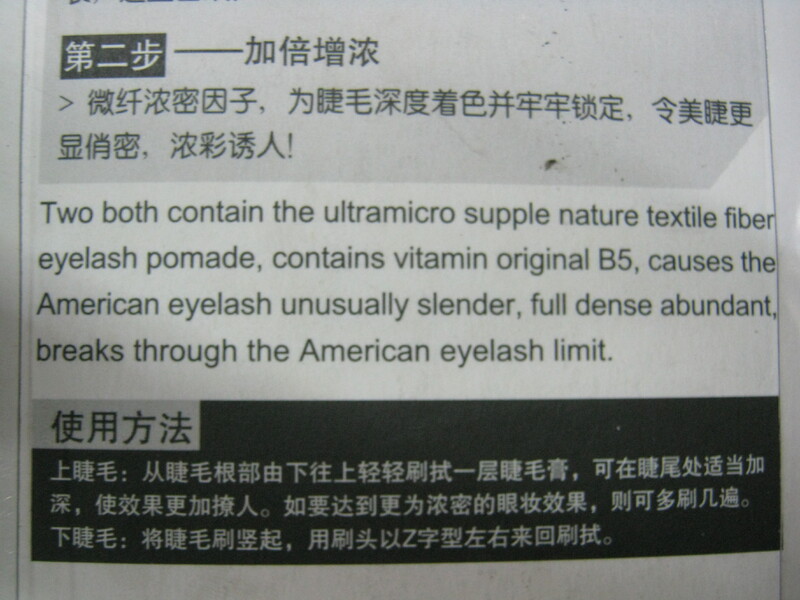 With your limited American eye lashes. Well, at least the flesh receives the injury. Phew, that’s a relief. It’s hard to know if the statement ‘Does not need to worry the flesh receives the injury’ is saying you won’t receive an injury or whether it’s saying you will receive an injury but you don’t need to worry about it. OMGOONDESS! That last one is a bit scary! One could find themselves in a really cruel, indifferent, yet seductive mystical place! However it sounds as if the chances of getting prego using that stuff could be really HIGH, and perhaps the birth could be really tough too! It is so thoughtful of them to let the buyer know this…..”Does not need to worry the flesh receives the injury.” I think I’ll pass on this one….I don’t need anymore late in life surprises! Once you see ‘carefull baby’ on any product, you’re wise not to take any chances. Maybe this Chinglish will make it into that new play on Broadway. I’ll keep you posted. You’ll deserve royalties. I don’t require my name above lights–big sacks of money are all the reward I need. I think whoever wrote that is working on the health care, tax reform, and social security changes information press releases. it is very disturbing how badly the english language is butchered…it’s like they do a direct translation and don’t give it to anyone to edit! Can you ask the carefull baby if I’m on the right track? Any woman serious about beauty has to be willing to risk her flesh receiving the injury. Where can I get some of that eyeliner? The babies around here are so careless that they just ignore any efforts I make to set a changein grasping schedule, which of course messes up my binocular peripheral time maintenance. Oh, I wish I still had the User’s Manual from our 1990 Subaru. It was written in Japan, and translated by a non-English speaker. One of the few bits I remember related to fuelling the vehicle. I’ve heard stories of those old Japanese auto user’s manuals–pretty funny unless you find yourself on the side of the road in an emergency and can’t understand where the jack is hidden. “Also may indifferent, the cruel feeling, But also may seductive, Mystical the character” describes a boyfriend I had once. He majored in English, but would have written this sentence almost this exact same way. These always make me wonder what the back of my shampoo bottle “really says” in French. ‘Also may indifferent, the cruel feeling, But also may seductive, Mystical the character and style full.’ This is pure poetry! It’s obvious the poor grunt toiling away on Shanghai’s Madison Ave is a frustrated word artist. I may stitch those lines on a needlepoint sampler. That is too funny! Fortune cookies also give some funny “chinglish” translations. That does it, I’m throwing away my eye make-up. My touch temperate soft IS worried. Yikes, sounds like they’re using machine translation. Not exactly foolproof yet. You will suffer the punishment of a thousand lashes. I wonder about the penalties imposed on those who break the American eyelash limit.